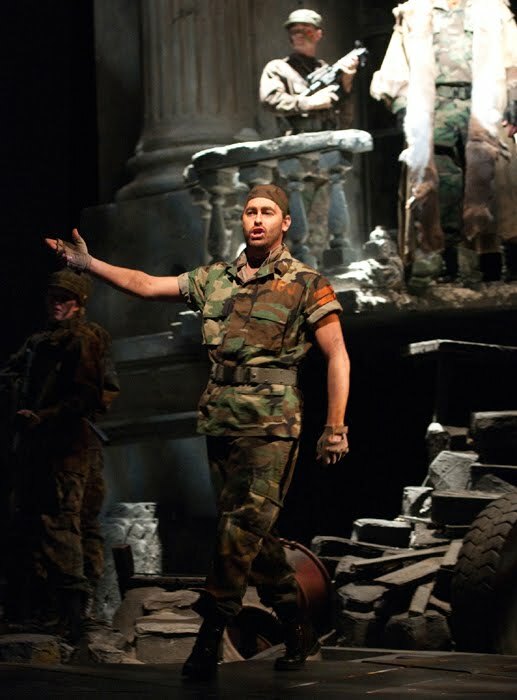 Uldino (Jason Slayden) presents Odabella as a gift to Attila in the first scene of Verdi's opera. 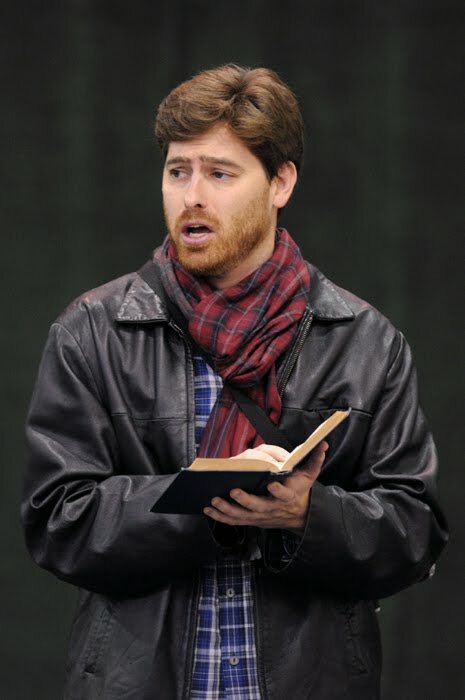 Today we speak with Jason Slayden, a tenor in Seattle Opera's Young Artists Program. Jason, who will sing the role of Ernesto in the YAP Don Pasquale coming up this spring at UW's Meany Hall, was kind enough to share with us his behind-the-scenes photos from the YAP Fall Tour a couple of months ago. He sang the title role of Werther in that tour; for a clip of him singing "Pourquoi me réveiller," check out his online bio. I spoke with him last week about singing Verdi, about performing in Attila, and about the busy travel schedule of an up-and-coming opera singer. Let's start with your character, Attila’s Breton slave Uldino. Like most of the characters in this opera, his loyalty seems to be suspect. Yes, I noticed the other night that he's loyal in the first half of the opera. He only turns traitor in the second half. So that’s been my challenge. Must be a missing scene in there someplace. Maybe you'll get to sing it for the "Deleted Scenes" on the deluxe edition DVD. You mean, seeing Foresto confront Attila in the banquet scene? Well, no, Uldino has probably made his decision by then. That's when Foresto gives Uldino the poison, to poison Attila's goblet. And Odabella stops him. At that point everyone kind of knows what’s going on, except Attila. 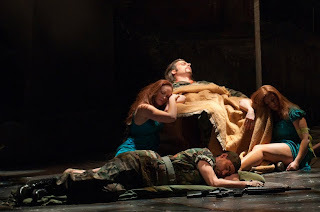 So did you have to make your own backstory, for all the stuff that's not in the libretto? Vengeance for all those killed when the Huns sacked Brittany. Yes. Let's talk about this great composer, have you sung any Verdi before? Sure, I’ve studied Alfredo, and the Duke in Rigoletto. I love Verdi. 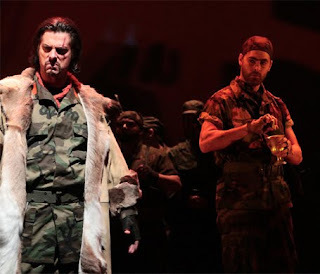 Are you learning to sing the tenor role in this opera, Foresto? No, that’s usually cast as a dramatic tenor or spinto tenor. I’m more on the lyric side. How does your preparation for a brief role, like this one, differ from your prep for a long role like Werther or Ernesto? Right, the performances aren't until April and we’ve already started rehearsals for Don Pasquale. Learning Uldino, the music maybe took a week. But I still have to go in and translate the entire opera. I have to know what everybody else is saying in the scenes I'm in. But it doesn't take as long to memorize the music, because there's not as much of it. Does Uldino sing his own lines in the ensembles? Or do you add your voice to the tenors in the chorus? 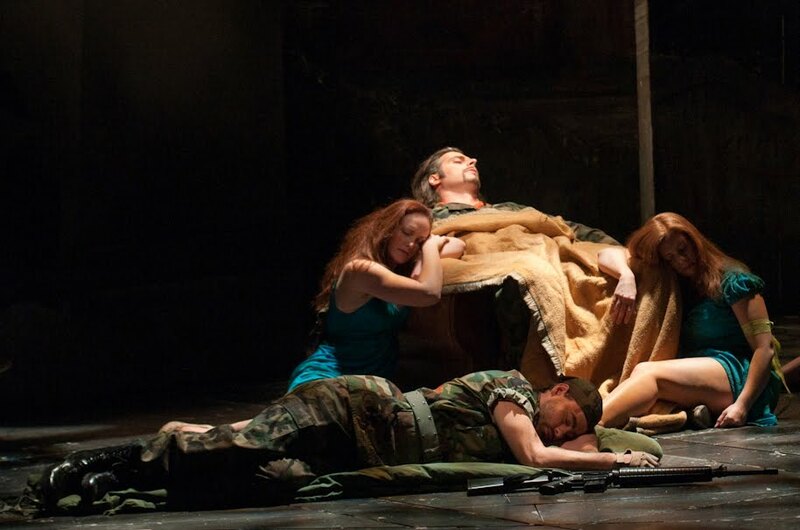 An opera singer’s life is often an itinerant one, with all sorts of comings and goings. What’s your travel schedule like this fall and winter? In the fall I moved up here from Texas, and then I left two or three times for auditions during our season in October and November--went to San Francisco, went to Vancouver once. Then during our Thanksgiving break I was in New York for a couple of weeks, before Attila rehearsals began, doing auditions. And from New York I went to Boston and Philadelphia for more auditions. And now I’m basically here until April. I think most of the Young Artists have a similar schedule. Depends on what they’re doing outside Seattle Opera...Andrew Stenson, for instance, was in New York last week, making his debut at the Met. And the singers in the Attila cast? Seems like some of them are coming from overseas. Yeah...even the ones who don't live in Europe, they were coming from Europe because they were singing something there before. Why should people come hear y'all sing Attila? It's got something for everybody! It’s got murder, intrigue, vengeance, drama, a little bit of romance...it’s a fun show, it’s quirky, it’s great music--you can see the beginnings of Verdi’s maturity. How he became such a great composer. Had you ever heard it before? No, I hadn’t, I think I'd seen the name on a list on Verdi’s Wikipedia page, but I’d never heard it! No one does it. It’s neat to see it coming to fruition. I hear that, in addition to Attila and Don Pasquale, you're putting together a recital with some of the other Young Artists. Yes, I’m doing 3 Duparc songs in French and 5 Tosti songs in Italian. Michael Uloth and Sarah Larsen are also preparing songs for this recital. These songs are new to you?